Beautimous picture by Virginie Carquin. So I have lots of news–for one thing, THERE IS A TRAILER FOR TELL THE WIND AND FIRE UP ON EW.COM! 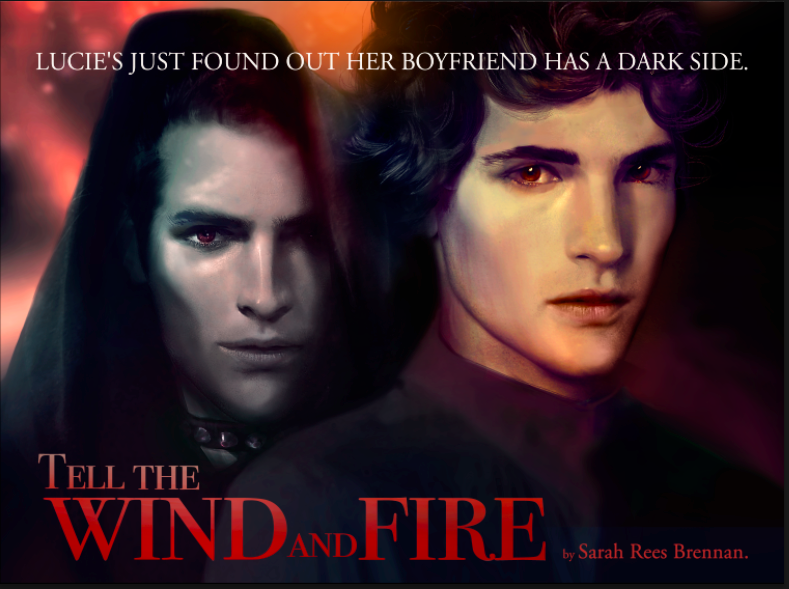 But my main news for this post is as follows: I am touring for TELL THE WIND AND FIRE, a tale about magic, a young lady who intentionally became a celebrity and accidentally became a symbol for revolution, and her boyfriend… and his soulless double whose presence may portend his death! It’s super exciting. I’m going to all these festivals with amazing authors, and I hope I am going to see you guys! It’s been ages since I had a book out, and I am very nervous! Also my publisher has been super great and arranged a thing. SARAH: So Cassandra Clare has a big bus with bunk-beds in it and I’m going to sleep in it. PUBLISHER: do you have a home? where should we send boxes of books to? IS YOUR HOME UNDER THE SEA? SARAH: That’s not important at this time. Anyway the bus will stop at bookshops so could Tell the Wind and Fire be sold in them? PUBLISHER: It’s before your release date though. SARAH: But I think people might like to have the new book! And be FANCY EARLY SPECIAL. PUBLISHER: Okay with the heroic aid of bookstores we will do this thing. Now could you give us some sort of address? So, a pre-release tour! With the book there early for people, yay! And then a launch event in LA on April 6, with the terrifyingly awesome Leigh Bardugo and Gretchen McNeil, in which we talk about re-tellings and myths and cool stuff in stories, and then a cascade of excellence! And I prefaced this with a pretty picture hoping people would reblog, but I promise to give you all presents on tour whether you do or not! I will shower you with gifts and love. … So without further ado… come find me! Pre-release, with special copies of Tell the Wind and Fire available! People can call 303-447-2074 for more information. I just finished tell the wind and fire! Please please please tell me there will be more! Carwyn…well I suppose I had better not spoil the end but I NEED what was about to happen to not happen. Like in a sequel perhaps?